From the opening, we will be covering Sony’s E3 show! Opening the show, we see a fantastic trailer for Destiny. A deep, ominous voice narrates over incredibly beautiful next gen graphics that resemble a somewhat Sci-Fi Bioshock Infinate type appearance. The whole thing feels like Halo and Star Wars combined as we see land fighter jets and rifles. Robed figures with red eyes and laser cannons. Its a pretty impressive trailer and a brilliant start to their conference. The whole thing really does have an incredible Halo influence, brought over by Bungie studios. Andrew House takes the stage, he announces that all playstation gamers will be able to get the beta July 17th. The white playstation four is announced with an exclusive Destiny bundle. The Order trailer is next, and it looks especially creepy. We hear flies buzzing and the main protagonist carry a flashlight through bloodstained rooms that look somewhat like tunnels in a hospital. The protaganist is faced with a zombie like creature, it mutates before him and we enter a chilling chase scene with guns, heavy breathing and a cheeky quicktime event thrown in. The scenery feels a lot like Outlast, but the creature shows its a stand alone game as we see it slowly morph to a zombie before the protagonist takes shots. I feel this is one to watch for horror fans! A lighter mood suddenly, and we see beautiful, colourful origami figures float along pastel backgrounds in a simple trailer for entwined. The game follows two souls in love, that can’t be together. It features a new idea on duel stick controls as you move your characters through an obstacle course. The game feels extremely artistic and unique. It’s the first game made by the team. The game has been released tonight for $9.99 and will be available on Vita soon. New DLC for Infamous: Second Son is announced, it is called First Light and will be coming August 2014. Little Big Planet 3 announcement to much cheering and enjoyment! New Powerups, interaction and a brand new friend. LBP3 reveals a dog companion called Oddsock with its own abilitys and powers. Another friend, Toggle is announced who is the biggest, and smallest character! Swoop, a new flying companion is revealed. Each companion has its own ability that can be combined in co-op play. Sony displays some new game play with a live demo for E3. The new game feels exactly the same as the others, with the same warm, fun appearance and happy music, however this time it’s bigger with more customization and more companions. Definitely not a let down, and the E3 crowds seem especially pleased! They seem even more pleased when it is announced that all the previous user created maps will be available on LBP3 with updated graphics. Bloodborne announced, a new game from Software. The trailer looks amazing. The graphics look really beautiful and wonderful for a game that appears to be even creepier than The Order, with lots of skinless dogs and undead. It seems like one to watch, with an extremely well executed trailer that gives very little away yet really interests. The game is due in 2015. Set in Kyrat, the demo follows AJ looking for a fortress through a forested mountain area. An incredible display showing the beautiful scenery, textures and particle effects. We see a little bit of combat with a cross bow, before AJ plants a bomb on a barrel and kicks it at an unsuspecting enemy. A really fun driving scene follows, with music playing and guns blazing before the truck veers of a hill and explodes. AJ then flys through the air and lands in a field before a second player, Hurk joins. We see duel combat from a helicopter in a run down camp full of enemies and elephants. The combat looks smooth and clean, with an interesting use of the elephants as they topple a car to huge explosions. The whole game looks fun and a true Farcry game with incredible scenery. It is announced that your PSN friends can now join you in game even if they don’t own the game! We asked for Zombie games, we got Zombie games. And Dead Island 2 looks awesome. Think of the GTA V trailer and throw in a load of zombies, think Dead Island. Ultimate Evil addition announced for Diablo III. Battlefield Hardline beta announced exclusive to PS4. We see the new battlefield Hardline trailer with grappling hooks and zip lines. Disney Infinity 2 collectors edition exclusive to PS3 and PS4. Destiny ingame content all exclusive to PS4 including a co-op map. Paradox interactive working on a new and exclusive PS4 game, and its Magika 2! Tim Schafer’s GRIM FANDANGO IS BEING REMASTERED AND BROUGHT TO PS4 AND VITA! The Talos Pronciple being brought to Ps4. Let it Die trailer revealed. The creators of Journey have produced a new game as Giant Squid, entitled Nabzoo. An underwater adventure in the same beautiful style as Journey. No Man’s Sky by Hello Games to make its console debut in 2014. Set in a prehistoric world with an interesting art style, we’re flown through a vividly coloured sky on a sci-fi fighter jet, engaging in space combat. Often “New species” or “New world” flashes up on the screen showing a discovery element to the gameplay. The game is inspired by old school sci-fi novels. The world is infinite and each player starts on their own new planet, each player will have a unique experience. Project Morphius explores the use of the Playstation camera. Shawn Layden, President and CEO of Sony Playstation Entertainment takes the stage. 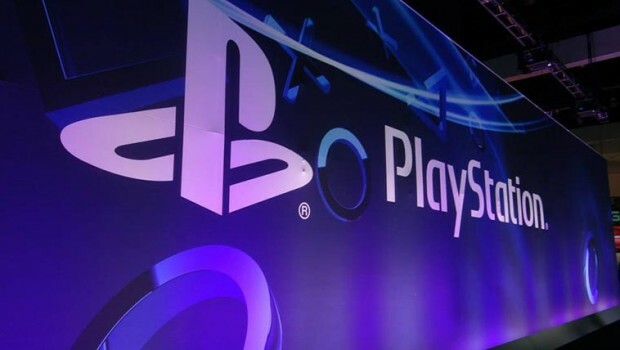 PSN networks sharing feature figures and look at new ideas. Youtube announced for PS4, people can now share their videos to their youtube channel via pressing the share button. Twitch and Ustream live streaming to have new innovations such as interactions with games being viewed. “Free To Play” being pushed forward with 25 new games being added in the next 12 months. PS Now open beta coming to PS4 on July 31st. PS Now will be coming to Sony TVs, a Sony console will not be needed and games can be played through the TV. Child of Light and Tails Of Borderlands announced for PSVita, Minecraft will also be brought to Vita with full co-op experience. Fall release for Playstation TV. Playstation TV will play most Vita titles and PS1 and PS3 classics. It will be available for $99. A $139 bundle will include a controller, HDMI cable, SD card and voucher for the Lego Movie. World premiere of gameplay footage for Mortal Kombat X! The graphics look better than ever, and there’s some interesting new interactions with the playing field as we see boxes being thrown and new brutal animations for FINISH HIM! There is however, a distinct lack of yells of “GET OVER HERE!” as Scorpion throws his hook. New series, Powers. Based on the graphic novel by Brian Michael Bendis and will be produced by three of the producers of The Walking Dead. It follows the story of two detectives exploring the crimes involving Superheroes and Supervillans. Available in the US in December. The first episode will be free in the US. Ratchet and Clank the Movie trailer shown, will be coming to theaters early 2015. The new Ratchet and Clank game will be released 2015. The Last of Us will be remastered for PS4. It will be released July 29th 2014. Metal Gear Solid V trailer (officially) shown. If you haven’t seen it, go and watch it. No one does a trailer like Kojima. Grand Theft Auto 5 will be coming to the PS4 this Fall. It will feature new enhancements and details. Users will be able to transfer their online progress and characters to the PS4. New Batman Arkham Knight gameplay demo revealed. It shows an extremely high tech batman, donning a more cyborg esque suit followed by a streetrace and gun fight in the batmobile. The city of Gotham looks wonderfully executed with brilliant weather. This game will follow Batman vs Scarecrow. Scarecrow Nightmare missions will be exclusive to PS4. Uncharted 4 announced for 2015 with a chilling sneak peek trailer.